We bring comfort to you in the lodge. 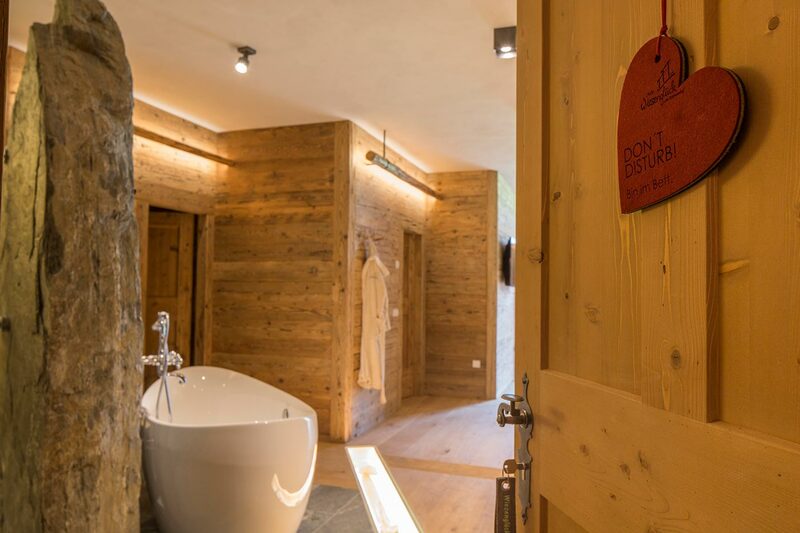 In a private atmosphere we offer a limited, select range of treatments. There is no need to wait or to leave your lodge. Relaxation massage: complete or partial massage, intensive back massage, leg and foot massage. 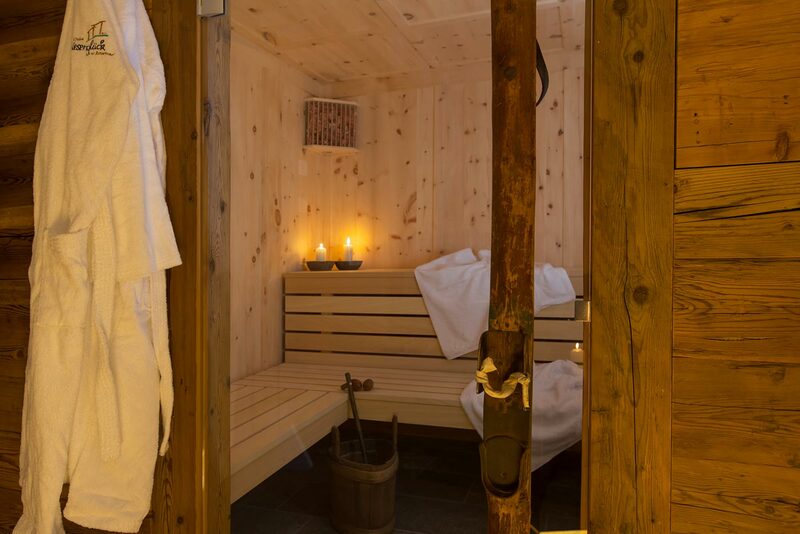 The Lodge’s own sauna combined with infrared cabin, fragrant with scents from the regions of arolla pine, lemon balm and spruce to relax you and stimulate the circulation. The rock shower to refresh and stimulate you. The wooden floor in natural oak just begs to be walked on barefoot; it stimulates the foot sole and is beneficial for the internal organs. 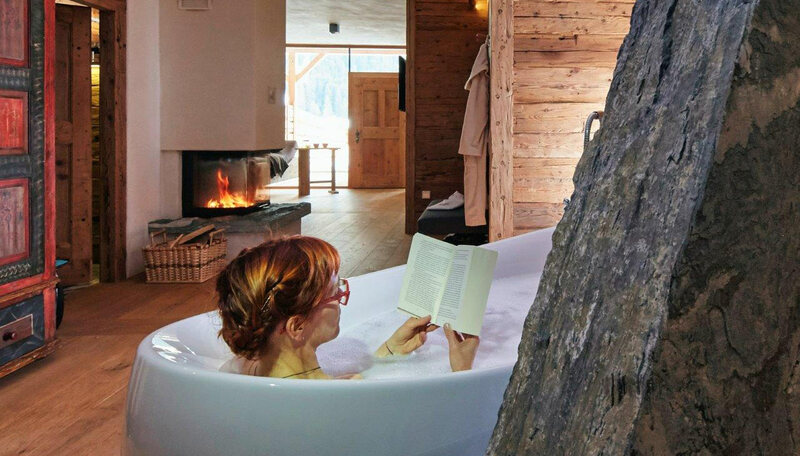 with exceptional quality bath salts in your own lodge and the beneficial warmth of the open fire. 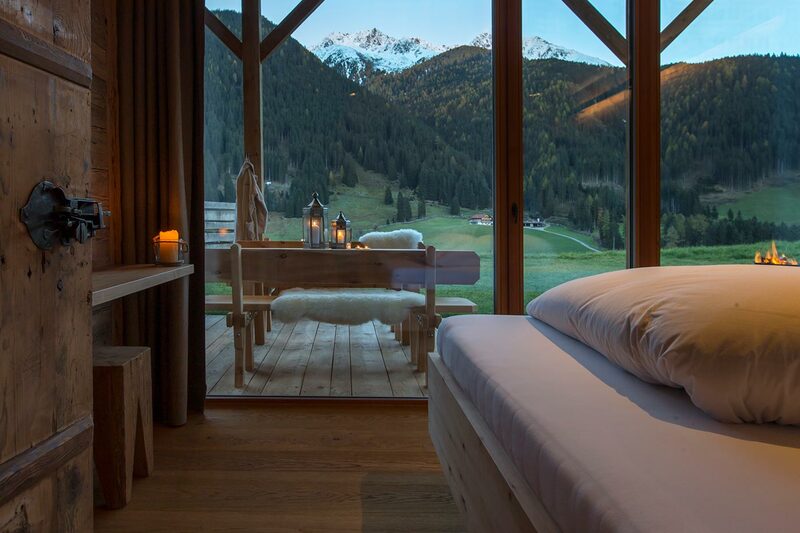 A boon for your skin and your body with precious minerals and trace elements of untreated salt from the Alps and the revitalising power of wild mountain herbs. 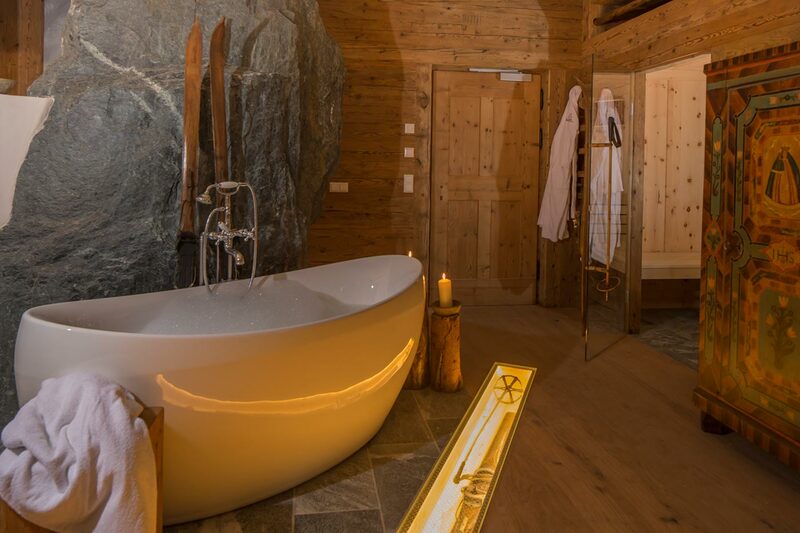 Salt from the mountains and the soothing, relaxing powers of the arolla pine – the king of the Alps – harmonise, sooth, relax and invigorate your body and spirit. Their mineral content soothes and refreshes your body. Your skin becomes wonderfully soft and smooth. The bath has an anti-bacterial effect; it smooths the skin and regulates humidity, calms and is beneficial to your general condition.